IACIS is a non-profit organization. 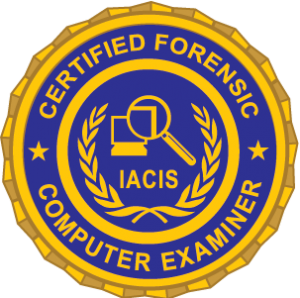 Our mission is to provide forensic computer training as well as facilitate a network of computer forensic professionals with varying levels of expertise. There are two levels of membership in the organization, Regular and Associate. To be eligible for Regular membership, applicants must be a current full-time or former full-time law enforcement or government employee, or a current full-time contractor for a government agency. Regular members have access to training, certification, an active listserv and forensic research. Associate membership is available to anyone else that is able to pass a background check. Associate members have the same access to the benefits as Regular members with the exception that Regular members can vote and hold organizational offices. Proof of status will be verified upon application for membership. Members receive FREE annual certification proficiency tests and recertification exams every three years.